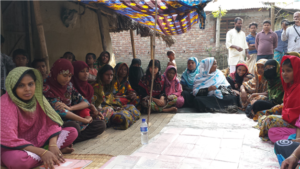 The Hygiene Sanitation and Water Fund aims at supporting local governance in Bangladesh through the implementation of Water, Sanitation and Hygiene interventions. In this assignment, Skat provided backstopping support to the management of the HYSAWA Trust Fund in three areas: local governance, public finance management, knowledge management and outcome monitoring and evaluation. The purpose of the backstopping mandate was to support the HYSAWA management by providing thematic inputs in the areas of local governance processes, public finance management, knowledge management and outcome monitoring and evaluation. Development of strategic and operational guidelines for effective local governance process with particular emphasis on establishing a working model between Union and Upazila Parishad. Establishment of a comprehensive outcome monitoring system including the revision of existing log frame indicators, developing proxy indicators and related M&E tools.